FSB (formerly Farmers State Bank) is a community bank headquartered in Cameron, Missouri. With a solid history of banking success in small communities, the bank took on a whole new challenge when it decided to move into a larger market with the purchase of Midwest Federal. Instead of holding fast to tradition and the status quo, FSB leadership took a chance on hiring an outside agency for the first time. The rest, as they say, is marketing history. FSB was steeped in history. Banking relationships were formed over tee times and beers. Handshakes solidified deals and growth was a product of hiring away the best development directors the competition had to offer. While many of these tactics can still be effective today, FSB was expanding into the St. Joseph, Missouri market — one where relationships were not yet built. Customers were accustomed to Midwest Federal and a change in ownership and brand was not an easy one. After the development of an extensive brand and marketing strategy, SJC Marketing worked directly with FSB to start evolving the brand from that of a small-town focus to one with a more powerful presence. This included updating the brand, modifying the name and rolling out a new look and feel to the logo. Such a step required replacing every piece of marketing inventory asset, including all signage at each banking location. Once this step was complete, it was then time to design a whole new online experience, ramp up the advertising activities to reach the target market, roll out a comprehensive digital marketing strategy that included PPC, social media ads and geofencing. At the same time, consistent design ensures that every media promoting FSB promotes the brand correctly. As a result, FSB is making waves in the bigger market, forming new partnerships and driving conversions that were previously out of reach. FSB not only has an updated name, the financial institution has an updated look and feel that makes them more attractive to the consumer of the 21st century. That means they not only have a responsive website with easy navigation and online banking access, they also have mobile banking with consistent marketing to demonstrate they’ve met the needs of a growing consumer base. Thanks to the on-going brand consistency ad entry into digital marketing, the bank is growing in market share in St. Joseph and the surrounding communities. 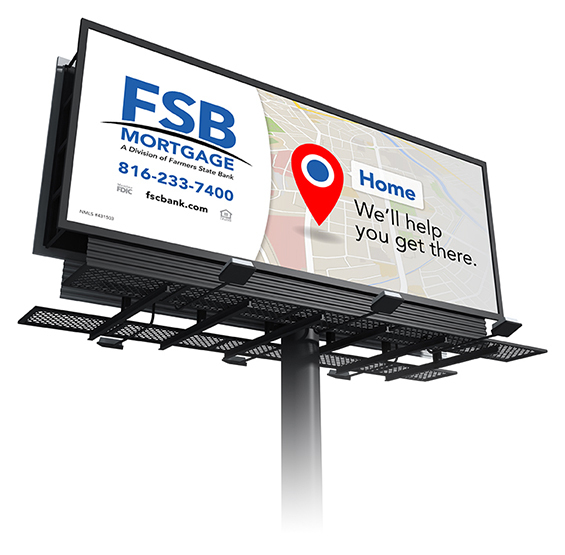 Along with the Kasasa product and SJC Marketing expertise to ensure the FSB brand is promoted in all channels, client conversions continue to grow and a new target market is learning how FSB can cater to their banking needs. Growth in social media, digital advertising and mobile campaigns demonstrates the brand is making an impact. With new clients signing up for Kasasa accounts on a regular basis, FSB is enjoying a strong return on its marketing investment.